On the left we have a plant that is in soil and is watered, but you can't see it as it is in a box and is not getting any light. 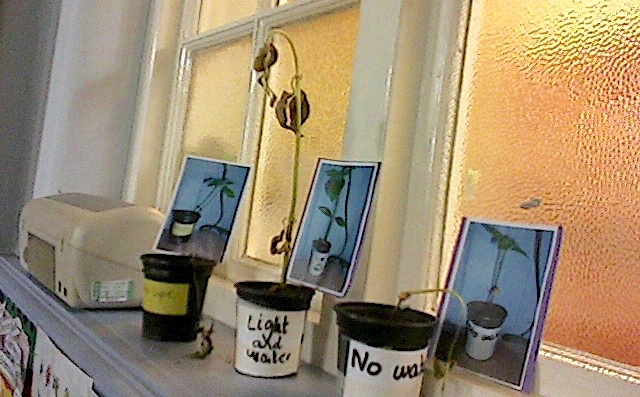 By each one (on the box for the plant that is not getting any light) is a picture of how each plant looked at the start of the experiment. 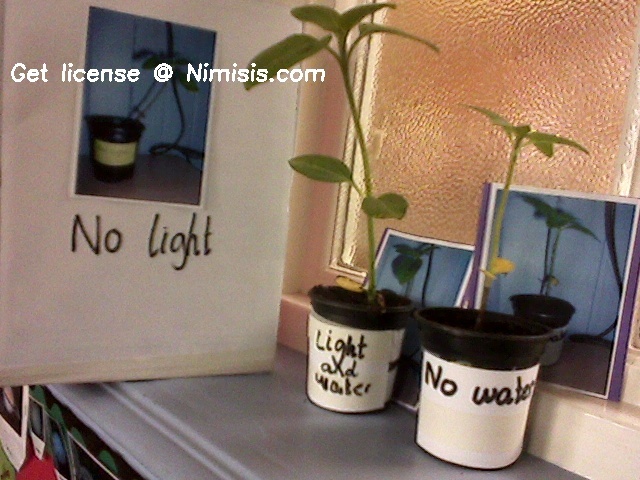 Year one have made predictions about what will happen to the three plants, and, by changing just one thing, are carrying out a Fair Test. We have a webcam taking a picture of the plants every 30 minutes.